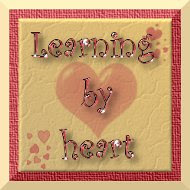 Learning by Heart – I See the Moon | Tired, Need Sleep. M is in love with the moon. It all began with If You Decide To Go To The Moon , by Faith McNulty: I heard about this book from Natalie over at Mouse Grows, Mouse Learns, and thought M would like it. Well, he did. He couldn’t get enough of it and was instantly fascinated with outer space in general, and the moon in particular. We have previously read books about outer space and the moon, but none of them sparked his interest as well as this one. So we began a very simple little moon unit. We played games with some beautiful space flashcards I picked up from Target over a year ago. I was smart enough to get two sets at the time, although I wasn’t smart enough to think of a way to use them. But once M’s interest in all things outer space was in high gear, I remembered this post of Ticia’s, where she created a game for her kids using these same flashcards. Click on the link to her post to get the specific details. This was fun and as soon as one of us had a card covered we flipped it over and read all of the interesting information on the back. I think it would’ve gone a bit more quickly if we’d had more than just 2 players though, or if I had separated the flashcards into smaller groups. We learned a bit about the phases of the moon too. We looked at this page of the Starchild website a bit: The website is part of NASA, and has tons of interesting things for children to learn about. I highly recommend taking a look! We only went over the moon phases web page, but I think we’ll be back to learn more! I showed M how to hold a lid and draw around it at the same time in order to draw a circle. He cut one circle from foil for the moon, and one was drawn onto the black paper with chalk. He drew some areas of land on his “earth circle” and then colored it in with wet chalk (wet chalk on black paper is fun, and a good art project all on its own). The Moon, by Seymour Simon: This is long, but packed with information. M wanted to read this one several times a day for two weeks straight. I’m linking this post up to Preschool Corner, and Weekly Wrap-Up, as well as Science Sunday! Be sure to check them all out! What great learning!! I love the artwork! I had to giggle at the learning how they went to the bathroom.. sounds like something Sammy would want to know too! Great unit. M and Anna would have fun together, because she is still fascinated with all things space. She was very disappointed that we are not going to get any of the shuttles, but I am sure that we will make a trip to LA once one of the shuttles is placed in the museum there. We might try your space project too. The book does look great!! Thanks for sharing your great printable!! Wow! What a great unit on the moon! I love that pop up book! This post is awesome. We're all over it today! Thank you! Thanks for the wonderful cards!